In October 2011 while chatting with a fellow adoptive mom, future adoptions came up in conversation. 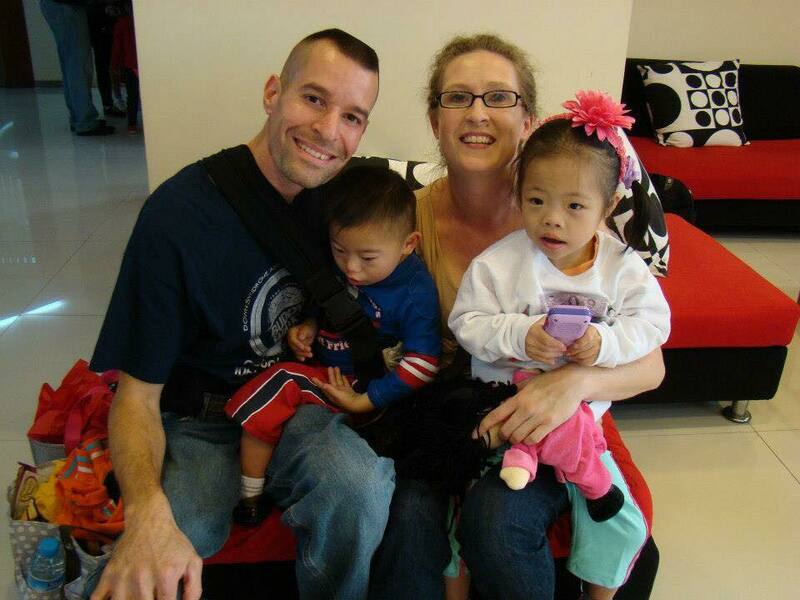 They were in the process of adopting two children from China with Down Syndrome. Knowing they were a large family I asked lots of questions. I soon discovered that it was possible for large families to adopt children with special needs from China. She shared with me some children waiting for families at an orphanage in China that their agency was working with. I was immediately drawn to a couple of the kids. Just out of curiosity I contacted the agency for more info. The agency had not received the files from China but they said they would contact me when they did. At the same time God had provided an increase in our monthly income. He provided just enough income for us to meet the USCIS income requirements to immigrate two more children. I made sure I informed my husband of this new tidbit. Two months go by and I had not heard back from the adoption agency so I called again. Of course, at this time, I had not said anything to my husband. It doesn’t hurt to just get information, right? They still had not received the files on the children I was interested in but they again said they would let me know. Out of curiosity I asked if there had been anyone else call and ask about these two kids. She said, “let me look at my list”. I was surprised when she came back and said, “you are first on the list to get information on both those children”. What??? I had not even told my husband I called and we were FIRST on the list. I decided it was about time to gently tell my husband what I had been thinking. His first response was, “we don’t have room”. Well, I couldn’t really argue with that. 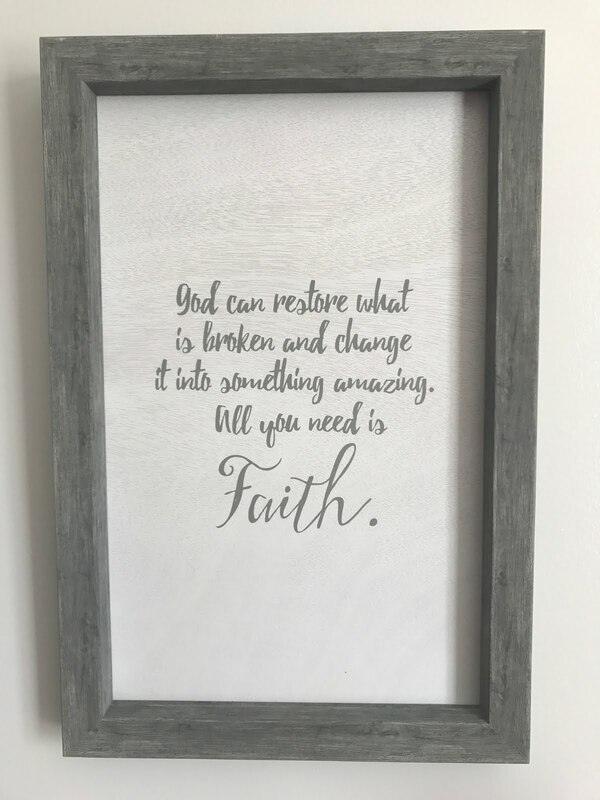 A few days later I came across a blog post by a fellow adoptive mom titled, “Do you have room?” This blog post is so powerful I am not even going to try to paraphrase. You have to go read it for yourself. Of course, I shared it with my husband. After having a long conversation we decided we could not use “we don’t have room” as an excuse. I did get a “we will talk about it if the kids files become available”. That’s progress!! Here is where God really knocked our socks off. I had already seen God paving the way but I didn’t expect this. Several weeks before I had two separate individuals contact me and ask if they could send our kids a few Christmas presents. Of course, I said yes. I have made it a policy to never turn away a cheerful giver. God placed my children on their hearts and I am not about to take away the blessings the giver may receive by following God’s prompting. One was a former coworker of mine that I have not seen in probably 9 years. She has stayed connected via facebook and has followed our family’s crazy journey. The other giver is the company where my sister works. Every year they sponsor a family for Christmas. Typically it is a family they do not know but the owner had heard about our family and decided to do things a little different this year. 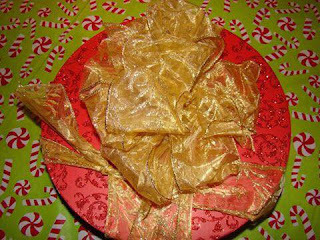 The week leading up to Christmas, Darren was given a monetary gift from the individuals in one of the departments in the hospital where he works. Darren is very humble and rarely talks about our family at work. When asked he will talk about the kids, but he always makes sure he adds, “ALL glory goes to God”. Darren works closely with the people in this department and they wanted to bless our family at Christmas. When the Christmas presents came from the generous givers I about passed out. I don’t think I have ever seen so many presents. I made sure I told my kids several times that they would not be receiving this many presents every year. Although the old saying is “it is more blessed to be the giver than the receiver” I can say that we really felt blessed. Darren and I both felt like God was saying, “don’t worry I will take care of all your needs”. Then, came the icing on the cake! Remember when we said “we have no room”. God made sure to He let us know He had that taken care of too. On Christmas Day later in the evening the doorbell rang. When I opened the door there was a beautifully wrapped present on our porch. When I opened the box inside I found $1,500 in CASH!!! The card said “please use this gift to help in the purchase of your new home whenever God makes it available to you”. PS. “We pray that God will find a way for this gift to be multiplied for you and the He will be glorified! 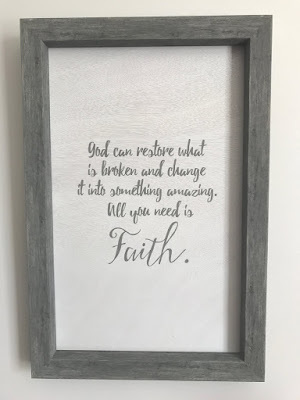 !” Well, guess God has the house thing under control too! Needless to say God provided. 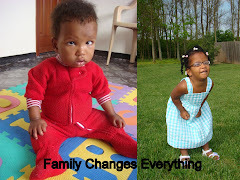 We committed to adopting two beautiful children with down syndrome. During the process of completing the mountains of paperwork we were informed that our home was not large enough to meet the agency requirements to adopt more children. So guess what we did? We built a larger home! God provided and as crazy as it sounds because yes it was crazy we built a house and adopted two children at the same time. 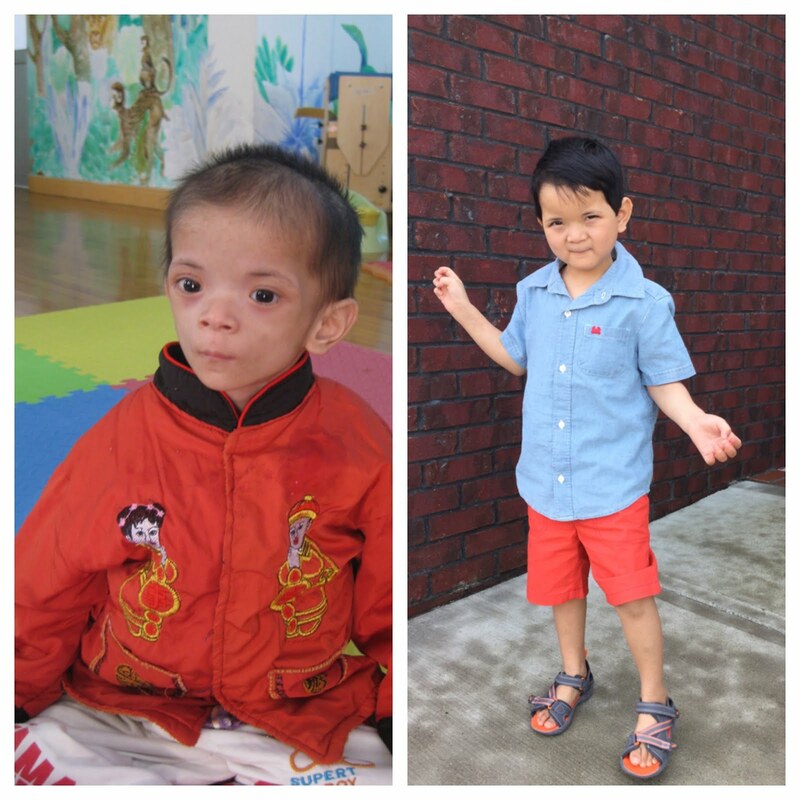 In November 2012 we moved into our new home ONE week before we traveled to China to adopt Lily and Isaac. Never underestimate the power of faith to move mountains. I have been holding off writing this post for several days but today satan has really been attacking me mentally, telling me how inadequate I am, how none of my dreams will actually come to be, that I really didn't hear God, so I am thinking it is time to write. A few months ago I created a new vision board. I prayed over it. These are all things God placed in my heart. I was given a clear vision for each of them. I got excited about it. I hung it where I would see it constantly. Suddenly I started hearing "that will never happen", "you are not good enough", "you didn't hear God right", "You just need to be happy with your life now". The negative talk became so ingrained in my head that every time I walked past my vision board I started to cry. I would grieve. It became not a vision board but a failure board. It got to the point where I could no longer look at it and I threw it away. You guys those are not words from God. God is never a God of discouragement. He will never tell you that you are not good enough. Those words were from satan. STOP listening to those negative voices. They are not your future. Every time you hear a negative thought in your head you need to say "Back off satan! Not today you don't!" If God put a passion in your heart and no matter how hard you try you can not get it out of your head THAT IS A GOD THING! If it's absolutely crazy and seems impossible then get ready to see some crazy miracles. God created a vision board for you a long time ago. It is up to you to claim it as yours. I am not going to try to go back and rehash all of life's craziness. Just trust me when I say life has been crazy. It has been good. It has been hard. It has been painful. It has been beautiful. It has been redemptive. This now hangs on my bedroom wall. A reminder of God's faithfulness. We were keeping a little secret. Thank you Make A Wish, Southwest Airlines, Xtreme Transportation, and Disney for making Joshua's wish come true! 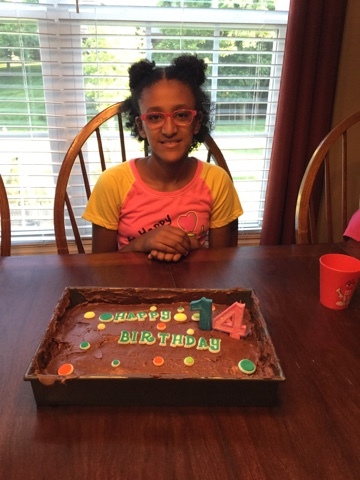 Today is Elshaday's 14th Birthday. She has recently become very interested in cooking. She loves watching kids cooking videos on her Kindle. 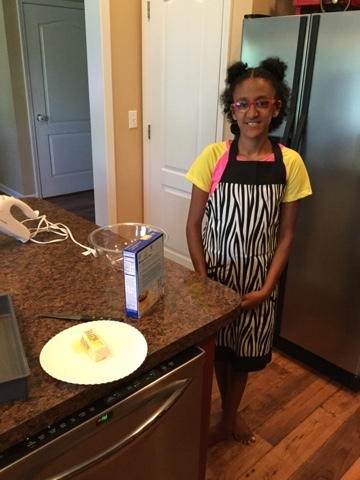 Today she got an apron and was able to help make her cake. She was very excited. We have a lot of practicing we need to do with cracking eggs though. She is a hard worker and never gives up. Elshaday has such a sweet spirit and always wants to help. She is a blessing to our family. As I sit here in the hospital and watch one thing after another being pumped through my son's body I am reminded of the miracle that is my son. Please humor me as I feel like sharing his story again. I guess in a way sharing gives me some peace. I pray it touches your heart. Joshua was found on the side of the road. He was bleeding from the nose. His body was covered in sores. He had very thin fine hair. They estimated him to be 2-3 years old. It was hard to tell because he was so tiny and developmentally delayed. I wonder what his first few years of klife was like?Considering the condition he was in when found I don't think I want to know. He was taken to the hospital and then transferred to an orphanage. The timing of the rest of his story is a little fuzzy but here is what I do know. A group of women had been working in an orphanage for several days. Every day they would hear screaming and noise but could not locate where it was coming from. One day they saw some children hanging out of a window and began to ask questions. They were told “those children are crazy”, “we cannot understand what they are saying”. The women continued to ask about the children. God moved mountains and they were lead to the secret door. The door was locked and held shut by intertwined red and white pieces of scrap material. Behind that door they found a few very malnourished children, mostly older children. It was unclear how long they had been locked in that room or if they had ever been out of the room. One little boy really caught their attention. His age was unknown. There was something about this little boy so they begged to take him out of the secret room. Their request was granted. He was so fragile that his legs quivered when they tried to stand him up. His lips were drawn and he had wrinkles like an old man. However, to everyone’s surprise he had the sweetest smile and the most infectious laugh. He was so hungry. When he was fed he would lunge towards the food for more. It was obvious he had not been getting enough food. How did he survive? It was only by the grace of God. I don't even want to imagine the nights. I will never know what he enduring physically and emotionally the first 5 years of his life. I can only imagine. I touch the scares on his body and weep. When I raise my voice he falls to the fetal position and covers his head. Oh sweet baby you are safe now. You would think how could a child endure more? Then I went to pick up my sweet boy to complete his adoption. When I arrived in country to pick up my very malnourished son I was handed a paper with a recent blood test. I hadn't even met him yet. I was advised to speak to our doctor back in the USA before we met him in case we didn't want to follow through with the adoption. The numbers were scary. I spoke with my husband and we both agreed no way in HELL we were leaving him here to die. I met Joshua the next day. He was pale and sick. He was very tired most of the time. We immediately took him to the hospital and very scary medical diagnosis were thrown at us. We were advised that we could not fly with him in his current condition. We had to take trains throughout the country to complete the adoption. As we went from city to city we searched for a temporary treatment so we could fly home. He would bleed a lot. He became more and more lifeless. They would not treat him. He needed a platelet transfusion in order to get on the plane and fly home. I was so afraid he was going to die right there in my arms but God is so good. I happened to be a perfect match to give him platelets. He got platelets and we got on that plane. I have never prayed so hard. It was a risk to fly. I was advised he may not survive the flight. I was not leaving him behind though. 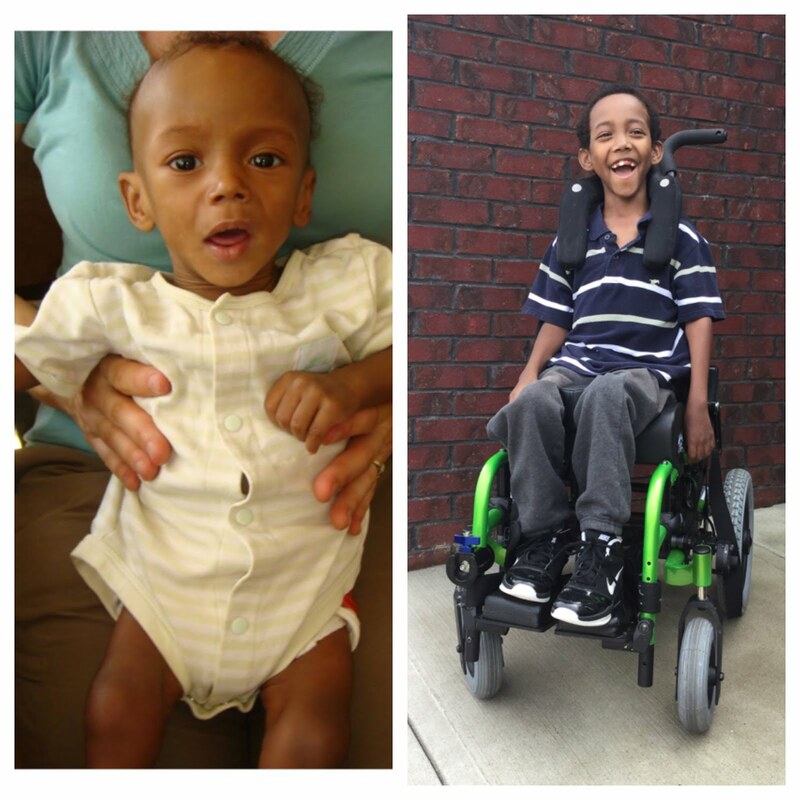 When we arrived in the USA he was immediately admitted to the hospital where he was diagnosed with Evans Syndrome. 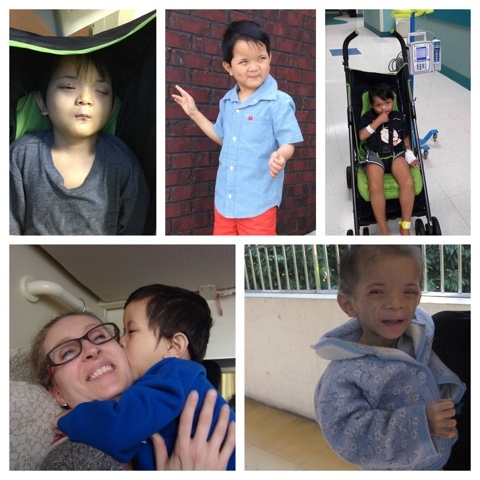 Joshua's immune system kills his red blood cells and platelets. As if he hadn't fought enough in his young life. Now he has to fight his own body. As we are discovering in our current crisis any virus can cause a life threatening situation. Getting a virus just throws his immune system into crisis. Seriously?? Hasn't he been through enough. It's just not fair. He is so brave. He is the sweetest boy with a beautiful smile and infectious laugh. He is one of my heroes. Are your friends asking where did they go? I think as large adoptive families there is a stigma to not share the hard stuff. When we do we get a lot of “you asked for it”, “it's your own fault”, “you should have known what you were getting in to”. There is no shame in doing the hard stuff. We should be free to share the hard right along with the good. We need to walk arm in arm through it all. I can’t speak for everyone but at least for us choosing to parent children with medical, physical, or emotional special needs required sacrifice. Please don’t hear me wrong, I am not boasting or claiming recognition for our parenting choice. The sacrifice has been an honor. We are the ones that have been humbly blessed. I guess I just want to share a little of what most don’t see behind the closed doors, puffy eyes, and fake smiles. We used to be really active in our community and church. We had lots of friends. For a while we tried to keep it up but honestly it was just too much work. Relationships require a great deal of work from all parties involved. There is a lot to be said about the phrase, “out of sight out of mind”. I miss having face to face relationships. I miss having stuff in common to talk about. When we do leave the house as a family all our focus is on maintaining emotional and physical control of the kiddos. It is very easy for our kids to get discombobulated. (Learned that word from my daddy. It’s become one of my favorite descriptive words.) Having conversations with others while out is impossible most of the time. You will see us laugh a lot. We will probably even make it look easy. Usually we are holding our breath unsure of what behavior will sneak out it’s ugly head. We laugh to keep from crying. Deep down inside we are just praying we don’t disrupt the entire building and we all make it back home alive. When we get out of the house without kids we try to enjoy our time but always in the back of our minds is what drama has happened while we were gone. How much time will it take to get everyone regulated again when we get home. You will hardly see me in a dress or skirt in public. I absolutely love fashion and would dress to the hilt every day. Reality is there are a lot of bodily functions happening around here, vomiting, blood, poop, drool. Yep really glamorous :) Four kids have to be lifted, carried or chased. As you can see fashion has been put on the back burner. Oh but sometimes I try. I used to have hobbies, enjoyed just talking to friends, and blogging. Now days my brain is so full I can’t even think to write. Conversations with friends are too hard because we just can’t relate to each other. It just feels fake. When someone asks “how is everyone?” And I respond “we are doing great!” That usually means we are still alive and no one has “quit the family” today. My new definition for doing great. It’s not all ugly. We get to see our kids reach goals everyone said they would not reach. We have the honor of cheering them on. We see the Grace of God every day. We get to hold there hands during tough medical procedures. We get to laugh with them. 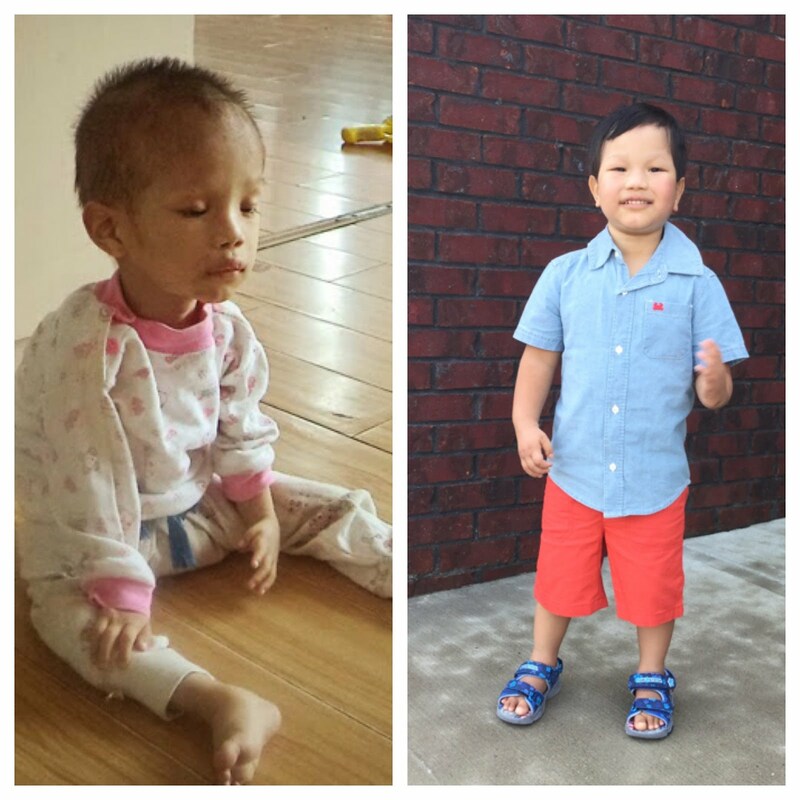 We get to see God healing their little hearts from all the trauma they have experienced. So if you have friends or family parenting children with special needs please extend them some grace. They may not return phone calls. That doesn’t mean they don’t care, probably means life got so crazy they didn’t have the emotional energy or they forgot. If they stop attending social events it's not because they don’t want to be there, but because what it takes to get there may feel overwhelming. That’s what is on my heart today. I am going to try to start blogging again. This time more of the day to day real stuff. I am not great with words. I am not a writer. Please give me grace in that area. The Maas Family Story from Southland Christian Church on Vimeo.